These Found Objects: Many years ago, when Abq Jew first began to study Talmud (at the Jewish Theological Seminary), one of the first chapters he learned was Eilu Metzios, the second chapter of the tractate Bava Metzia. Eilu Metzios (or, as we said at the Seminary, Eilu Metziot) deals with found objects. The Torah, of course, tells us that we must return a found lost object to its owner. But … Under all circumstances? In every case? What if we don’t know who the owner is? There are found articles which belong to the finder without any proclamation [yes, ancient advertising to find the owner]; namely, scattered fruits or scattered money in a public thoroughfare, small sheaves, strings of pressed figs, bread of a baker (as all bread of the baker is alike; home bread, however, differs, and is recognizable), strings of fish, pieces of meat, and shorn wool from the country where it was shorn, cleansed flax, and stripes of scarlet wool–all these belong to the finder (when it was found in such a place where people pass). So is the decree of R. Meir. R. Jehudah, however, maintains: If there is a change in the found article, which usually ought not to be, as, e.g., he found a fragment of a clay vessel in pressed figs, or he found a coin in a loaf of bread, he must proclaim. R. Simeon b. Elazar says: All stew vessels which are for sale he need not proclaim. It looks like a New Haven rabbi is giving subway nap hero Isaac Theil a run for his money — literally. 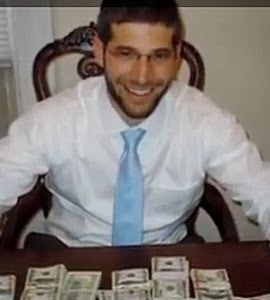 Noach Muroff, a high school teacher at Yeshiva of New Haven, is making headlines after a desk he bought for $150 on Craigslist turned out to have $98,000 inside, which he promptly returned to the owner. Within minutes, he said, they decided to return the money. The woman selling the desk had told them she bought it from Staples and assembled it herself, so the money was obviously hers. “We called her up to return the money to her, and she was ecstatic and beyond words, in total shock and disbelief that someone would call and return the money.” It was apparently her inheritance, which had fallen behind the desk drawer and was presumed lost. You may think that this selfless act is unprecedented. But you’d be wrong. Noach Muroff is, as one blogger says. a modern day Shimon ben Shetach. 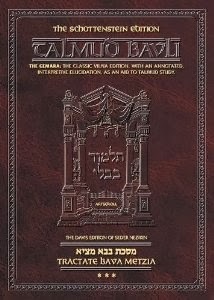 Simeon ben Shetach (c. 120-40 BCE) was a Pharisee scholar and Nasi of the Sanhedrin during the reigns of Alexander Jannæus (c. 103-76 BCE) and his successor, Queen Alexandra Salome (c. 76-67 BCE), who was Simeon’s sister. He was therefore closely connected with the court, enjoying, at least initially, the favor of Alexander. And what did Shimon ben Shetach do? Simeon lived in humble circumstances, supporting himself and his family by conducting a small business in linen goods. After receiving the gift, Simeon removed the saddle and discovered a costly jewel. The students joyously told their master that he might now cease toiling since the proceeds from the jewel would make him wealthy – the legal formula of the sale meant that the jewel was now his property. Simeon, however, replied that the even though the letter of the law said they were right, it was clear that the seller had no intention of selling of the Jewel along with the animal. Abq Jew would be remiss if he did not point out that … we don’t have to go to the Jewish Theological Seminary, or Yeshiva University, or, in fact, any yeshiva or any university, in order to study Talmud. Thanks to Al Gore (Gorelick? Gorevich? What do you think? ), it’s all on the Internet. Abq Jew would also be very remiss if he did not point out that … going to the Jewish Theological Seminary, or Yeshiva University, or, in fact, any yeshiva or any university, in order to study Talmud, is the best way for us to learn.